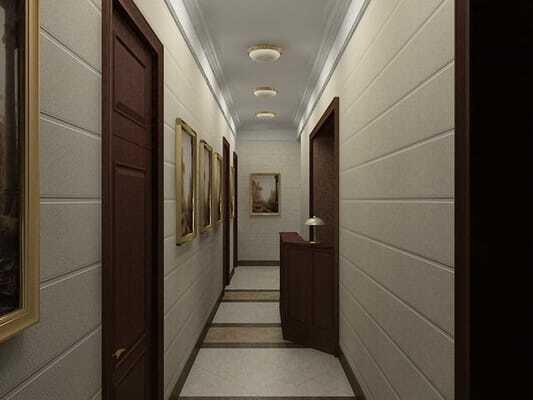 Hotel "Business-apartments" is located in Dnepr at a distance of 1 km from the square of Heroes. It offers free Wi-Fi and an LCD TV with cable and satellite channels. 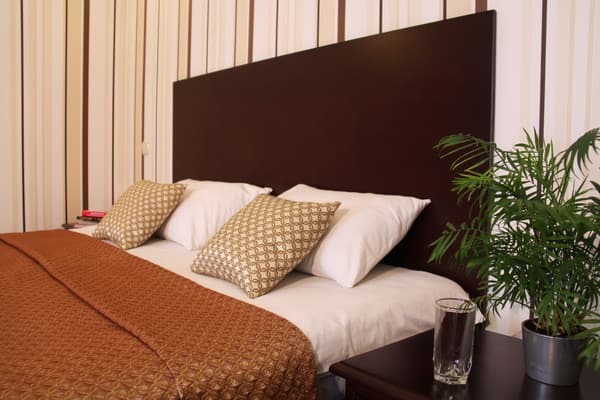 The rooms are decorated in an elegant and air-conditioned style. In addition, there is an electric kettle and a fridge. The private bathroom includes a shower, hairdryer and slippers. Free public parking is possible on site. The distance to the central railway station is 3 km, to the central bus station -3.8 km, to the airport - 14 km, to the Cathedral Square - 2.9 km. Description of the room: Standard room category is perfect for accommodation of one or two guests who appreciate comfort and coziness. Spacious room with soft lighting. For the convenience of guests a special workplace is equipped. In the bathroom there is a shower, for convenience there is a companion hygienic set, slippers and a hairdryer. 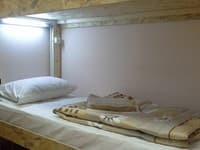 Each room is equipped with all the necessary accessories, including air conditioning, LCD TV, refrigerator, electric kettle, upholstered furniture. * Breakfast is not included in the room rate, however it can be ordered for an additional fee according to the menu provided. 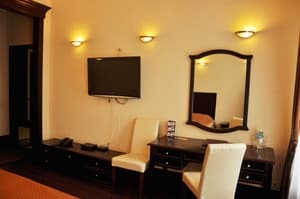 Description of the room: Comfort Double Room is equipped with all necessary accessories, including air conditioning, LCD TV, fridge, electric kettle, upholstered furniture and a bathroom with accompanying hygienic set. 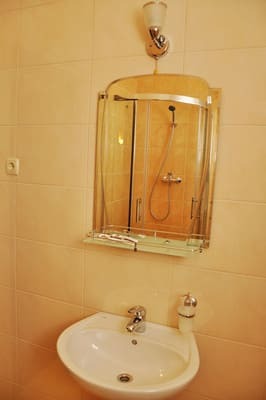 The bathroom is equipped with a shower cabin. Balcony. * Breakfast is not included in the room rate, however it can be ordered for an additional fee according to the menu provided. Description of the room: The room is softly lit and equipped with all the necessities for comfortable stay of guests. LCD TV, air conditioning, refrigerator, electric kettle, closet, upholstered furniture, as well as a bathroom with the necessary hygienic set. The room has a balcony. Which will open a view in the heart of the city. For the convenience of guests, Wi-Fi is available in the entire hotel. * Breakfast is not included in the room rate, however, for an additional fee it can be ordered according to the menu provided. очень уютно в номере. балкон. For an extra charge, guests can order breakfast (from 70 UAH). 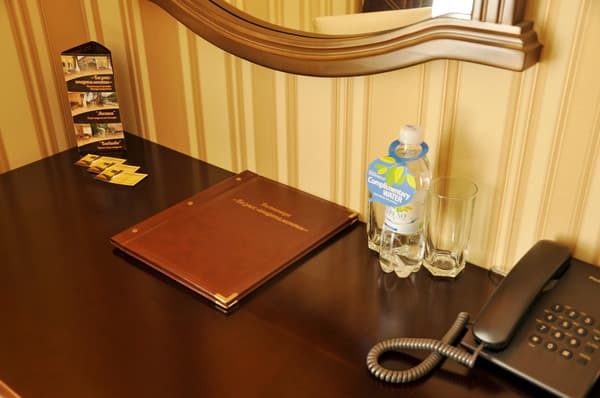 The hotel "Business Apartments" is located in the city of Dnipro at a distance of 1 km from the square of Heroes. The distance to the central railway station is 3 km, to the central bus station -3.8 km, to the airport - 14 km, to the Cathedral Square - 2.9 km. From the station you can get by taxi № 101A, 157A, 146A, 132, 109, as well as by tram number 1 (all go along Karl Marx Avenue) to the stop - Artema street. Then go up two blocks. 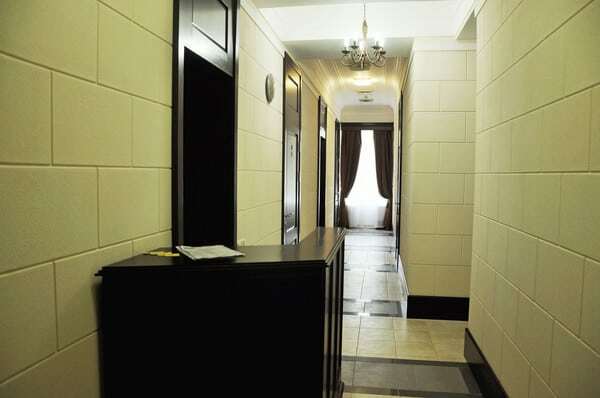 The hotel is located in a corner building at the crossroads of Artema and Komsomolskaya streets.